Magic has risen from ancient Babylon all the way to Chicago as Curiosity Quills Press announces the publication of David D. Hammons’ third novel, a Middle-Grade Fantasy full of monster-hunting adventure. The book will be released February 29, 2016 in the US. There's a monster in Alex's backyard. He doesn't know how it got there, but with his parents refusing to help, Alex must capture it on his own. When he does, a monster hunting Keeper comes to claim it. Alex follows the Keeper to the world of Edin, a preserve for monsters run by magic-wielders. Aboard the Keeper's airship, and with his giant socket wrench-wielding monster companion, Alex must learn the art of magic if he hopes to stay in this wondrous world. But as he trains with the other children in the fortress of Babili, rumors begin that the Heretic Pharaoh has returned, and Alex's new home is in danger. 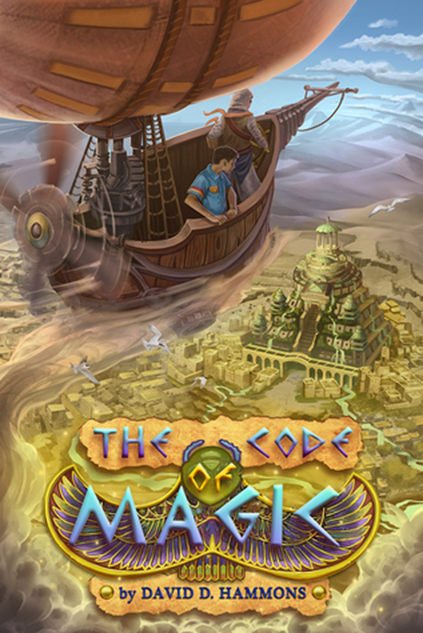 THE CODE OF MAGIC will be available on Amazon, Barnes and Noble.com, Smashwords, and local retailers. You can find Hammons’ earlier books, ALICE TAKES BACK WONDERLAND and DON’T EAT THE GLOWING BANANAS at these retailers as well. David D. Hammons has started working as a full-time author and editor after traveling the world learning about ancient cultures and modern myths. He is an adjunct professor of Logistics at Missouri State University and lives in his hometown of Springfield, Missouri.